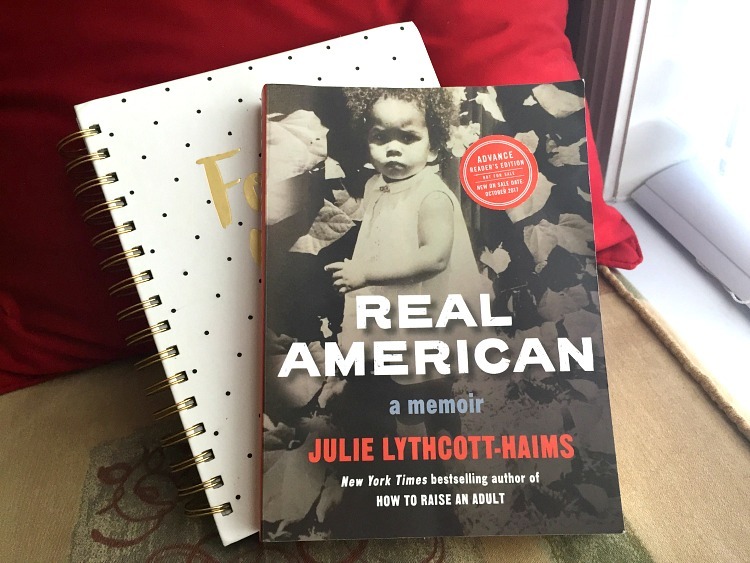 Real American: A Memoir by Julie Lythcott-Haims is a personal account on what it's like growing up as a biracial black woman in America. Born to an African-American man and white British woman, Julie Lythcott-Haims shares how parents from seemingly different worlds shaped a world for her in which was ironic, and often difficult to navigate. Imagine living in a suburban community where the neighbors assume your dad is the gardener because he's the only black man on the block. Picture going places with your mother and people not even recognizing that you belong to her at first sight. Imagine looking for your place in schools in which you are one of the only two people of color in attendance. These instances were a reality for Julie Lythcott-Haims and many other biracial people of color in our country whose stories aren't often heard on a mainstream level. 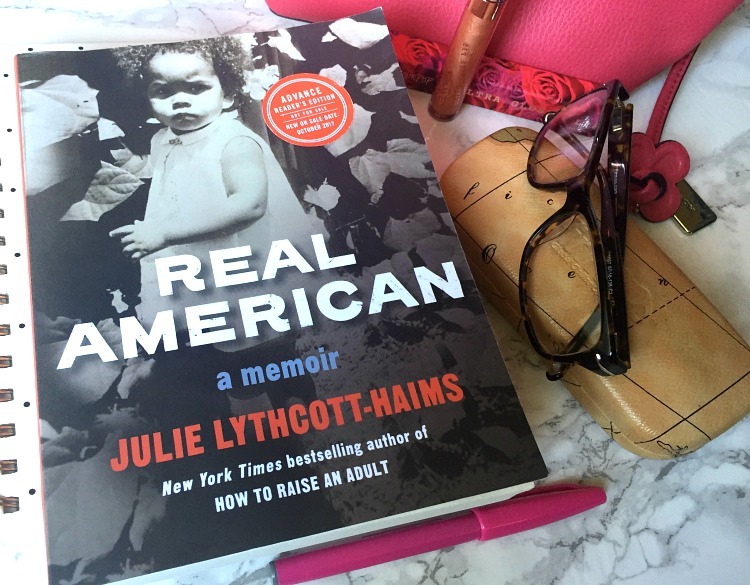 In Real American, Julie Lythcott-Haims covers several events in her life through prose, showing how years of messaging shaped her and influenced her thought-processes as an adult. Her personal accounts are passionately written and surprisingly transparent--like the entries of a journal uncovering one's innermost thoughts. At times her words read poetically, in a melodic rhythm. Other times, her words are brief. Each passage, however, is candid and intentional. 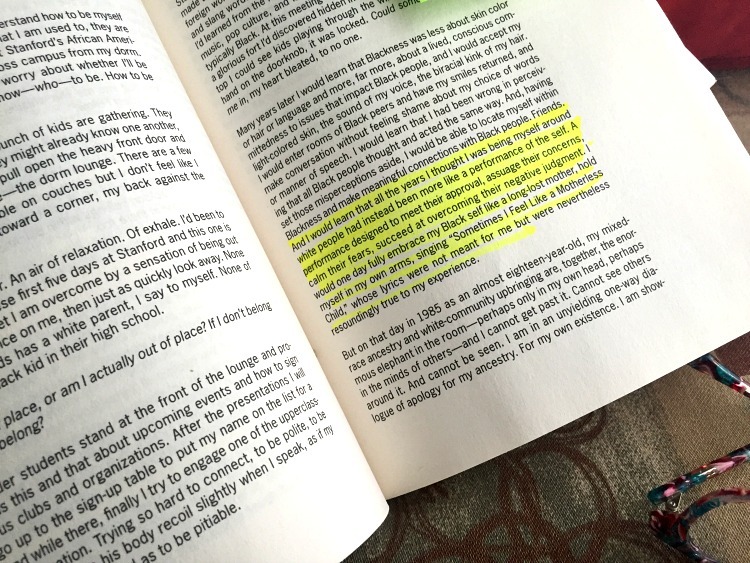 Julie's vulnerability in her writing uncovers times she struggled with her identity, often feeling ashamed, confused, insecure, and even invisible. Longing to find her place in an America that seemed to have overlooked her, Julie writes through each experience as if it is her therapy. Reading Real American moved me in a way that no memoir has in quite some time. Throughout the read, felt a wave of emotions-- I was triggered, I was disheartened, I was moved to tears, I felt assured, and I swelled with pride. Most importantly, however, I felt conviction. Julie Lythcott-Haims not only speaks her truth in a way that is freeing to her, she shares her story in a way that gives her readers permission to free themselves as well. Perhaps you should free yourself from the voices of old tapes playing in a loop through your mind, telling you that you're too black to do "this." Or maybe there is a limiting belief lurking deep in your spirit that has convinced you that you aren't black enough to take part in "that" activity. Sometimes we can't find the source of these limiting beliefs because we have collected anecdotes and internalized microaggressions all our lives, suppressing them so deep within ourselves that we forget they happened. That is, until someone comes along and rips the scab off from that tender place we thought had long healed. Some days I flipped through pages with urgency, drinking in each experience as quickly as I could train my eyes across the space. Other days I choked down my feelings as I read along with a looming sadness I could not process right away. Like Julie, I have been taunted and called racial slurs by classmates. I've stretched, contorted, and made myself scarce to assimilate in uncomfortable spaces. I clutch my oldest son a little tighter when he leaves home for fear of how the world he's walking out into may perceive him. And those are all things I am still working through as a 30-something black woman, and will probably continue to for quite some time. Reading those parallels in our lives made certain passages hard to digest. Nothing, however, stopped me from taking this book everywhere I went, making notes and journaling each time I felt particularly moved by one of Julie's reflections. Before I knew it, I had finished this book in a matter of days. I urge everyone who can get their hands on a copy of this book to read it with eyes and hearts wide open. This book has called me to do some soul-searching of my own, and I appreciate Julie Lythcott-Haims for her transparency--as it inspired me to do so. Thank you so much for sharing your story, for allowing me to relate to your truth, and encouraging me to pull back the layers on my own "stuff." 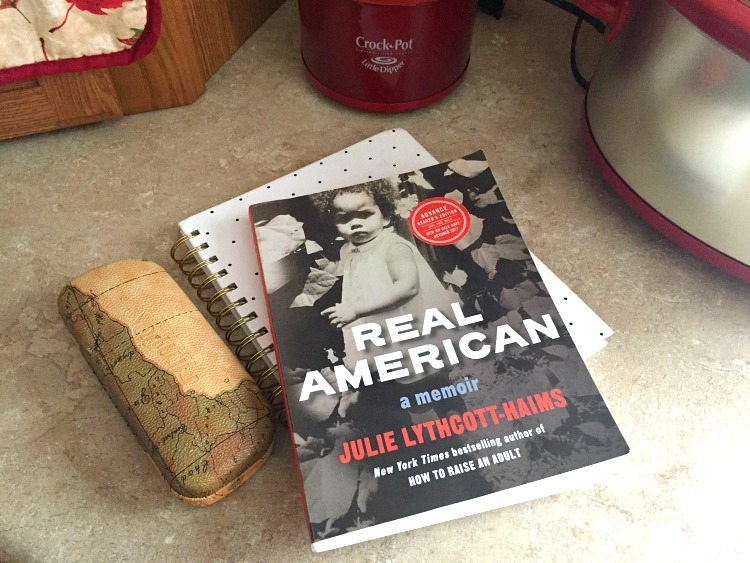 Would you like a chance to receive a copy of Real American: A Memoir of your own? Here's your chance to win one of ten copies. Check out the widget below and follow instructions to enter the giveaway!